The “Pearl of the Atlantic,” Madeira is more than just a shortcut to the tropics for European holidaymakers. A land of luscious mountains, limpid lagoons and gorgeous fishing villages, this Portuguese archipelago is a destination of staggering natural beauty. Floating off the coast of West Africa, Madeira’s landscapes are indebted to the rich volcanic soil, mild climate and abundant rainfall that support an exceptional diversity of flora. Botanists take particular delight in the archipelago’s laurisilva forests, which are inscribed on UNESCO’s list of World Heritage Sites. As well as being home to exceptional flora, Madeira has spectacular fauna, with the warm Atlantic Ocean proving the perfect habitat for marine life. The ocean offers many opportunities for adventurous travellers; from swimming with dolphins to scuba diving. Whale watching and surfing are other major selling points. Golden sandy beaches are few on Madeira, found only at Calheta and Machico, and both of those have been built from imported sand. Elsewhere beaches consist of small strips of black, volcanic sand, which is enough for some. On land, the fragrant eucalyptus woodlands are an ideal place for hiking, offering stunning views. But perhaps the most distinctive characteristic of Madeira is its renowned system of water channels, known as levadas. Constructed by slaves to convey water from the mountains to plantations, walking the levadas has become a major tourist attraction for Madeira. 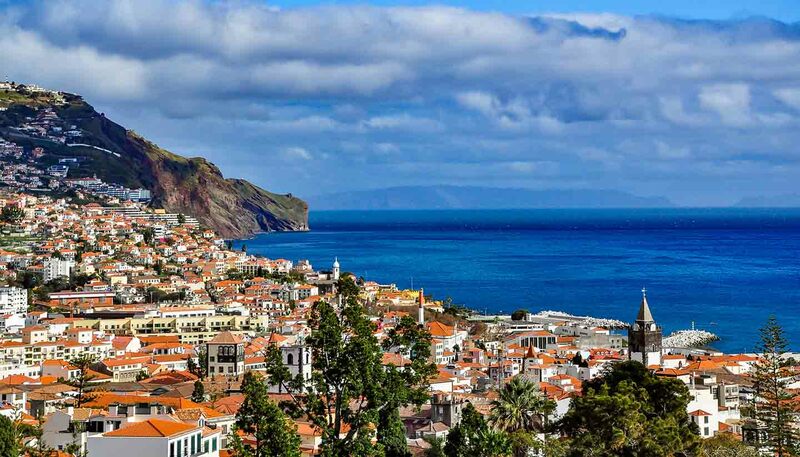 Despite the lack of beach space, Madeira remains popular with foreign visitors and its coastal resorts are geared to the demands of the modern tourist, most of which arrive via the capital, Funchal, which overlooks one of the world’s most beautiful bays. 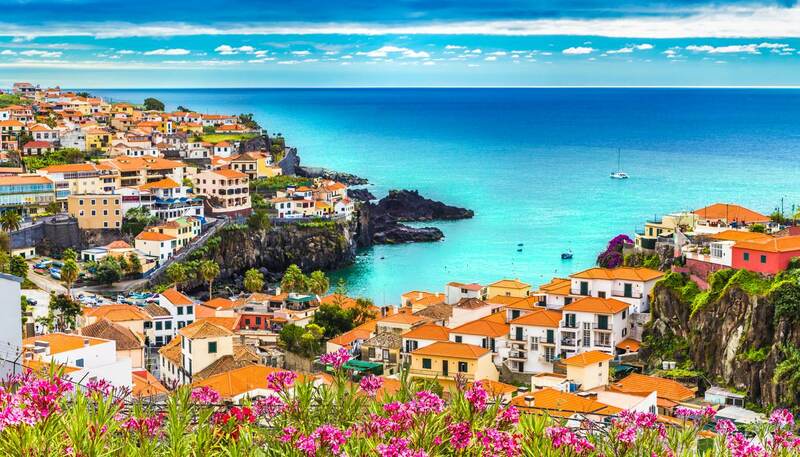 Here you can relax at one of the many cafés, order a glass of Madeira wine and let the archipelago’s charms work their magic; you won't be disappointed. 741 sq km (286 sq miles). President Marcelo Rebelo de Sousa since 2016. President Miguel Albuquerque since 2015.